Okay what is the story behind the fire? Are those dogs in the last picture shih tzu's? I had those growing up! 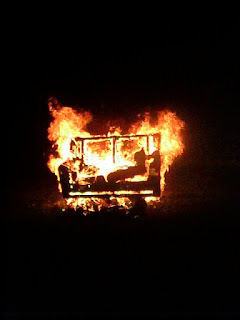 And it was a loveseat being burned. We have a big fire pit and my husband is a bit of a pyro, so anything fun to burn, it's gone! 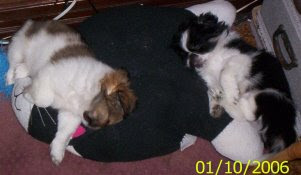 And they are pekingese, but look a lot like shih tzus! what happened to your eyeball? celtic girl- i'm pretty sure arson is illegal. And they always catch you... so I'd recommend no. Sarah- that is what my eye looked like after lasik surgery. 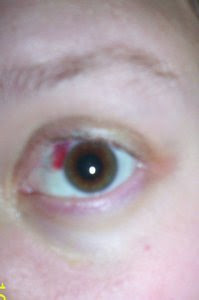 Apparently it is a rare occurrence for it to bleed like that.